(Partial) Victory at Standing Rock! The Secretary of the Army has issued a statement that they have DENIED the DAPL easement and it will not be routed under the Missouri River through Sioux territory! The pipeline isn’t dead, and this is a government agency decision subject to reversal (i.e. not a court decision) but it’s huge. My understanding is that Army Corps of Engineers will now conduct a full environmental impact study (which they should have done from the get-go) before deciding on a new route. All of this is just developing so I could be wrong about this and welcome any updates and corrections you might know of. 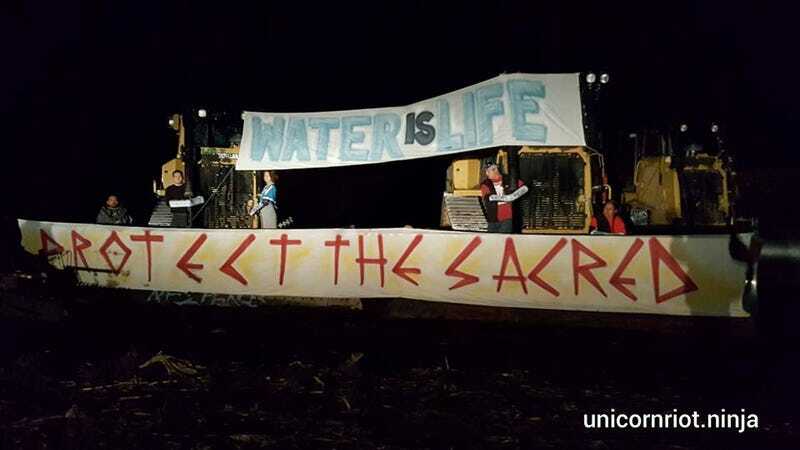 All respect to the Water Protectors!